Karl Bream is the Vice President and Head of the Internet of Things Strategy at Nokia. In that role, Karl focuses the company’s investments and resources towards the most significant opportunities for growth in the Internet of Things ecosystem. Prior to that role, Karl was a Senior Partner and Vice President of Corporate Strategy at Alcatel-Lucent. Karl was one of a the architects of the company’s Shift Plan, which turned around the profitability and the cash flow of the company and resulted in a quadrupling in shareholder value. During this time, Karl also developed the growth plan for the cloud platform and software business at Alcatel-Lucent. 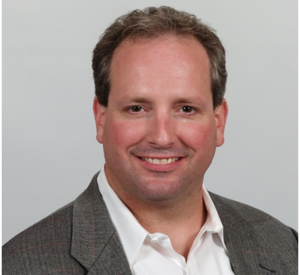 During his 20 years in the networking and communications industry, Karl has also held positions in sales and marketing, strategic business development and mergers and acquisitions for AT&T, Avaya, and Lucent Technologies. Karl holds a Bachelor’s degree in Computer Science from George Washington University and an MBA from The Stern School at New York University. Karl is an active supporter of several local non-profits and social ventures in and around New York City and frequently travels internationally to build housing for the homeless in the most challenging geographies.